Create share folder, for every one permission read and write. Manage the list of PXE servers in the network. Select a driver dristribution folder, add the folder C:\Windows\System32\DriverStore\FileRepository of you machine client that you want collected the image. Set manually the task, start the task and wait. 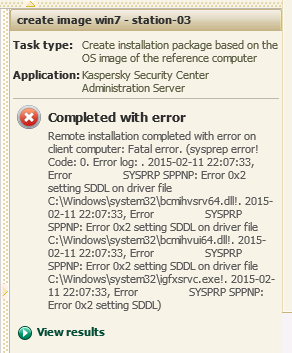 Remove the software incompatible that stay using this file and try again.